I write this the day after my return from a 10 day spiritual wilderness retreat in the Chiracahua Mountains of southeast Arizona. The experience included a five day solo “sacred passage” in a secluded valley, where our teacher, John Milton, has been taking people for over 30 years. John has created a wonderful spiritual path called the Way of Nature (www.sacredpassage.com), distilled from his many years of solo time in the wilderness, as well as his deep immersion in some of the world’s most profoundly enlightening, earth-connected lineages, such as Taoism, Dzogchen, Tantra, Vedanta and shamanic traditions. There were many wonderful insights from my experience, but one I’m inspired to share with you now is the profound importance of relaxation on the spiritual path. Yes, relaxation--not something I’ve generally thought of as “spiritual.” I’ve done qigong and tai chi for a number of years, and the first principle of both these systems is: RELAX. Often though, on the spiritual path, we don’t think of the centrality of relaxation. We might be working on cultivating a deeper connection to the Divine, seeking to open our hearts in prayer, to touch stillness in meditation or to remain present and “in the flow” with whatever arises, but until these last 10 days, I had really overlooked the profound value of relaxation as a foundation for all other spiritual practices. Think of how focused we have become in American spiritual culture on cultivating presence: witness the meteoric rise of mindfulness practice or Eckhart Tolle’s The Power of Now selling over 2 million copies. These are important developments that are having a profoundly positive effect on our broader culture. Yet, the part of John Milton’s point that really struck me is that “relaxation” is just as much of a core principle in spiritual practice as “presence.” Deep relaxation is not a “side thing” we might do (or not) on the way to the main event of our spiritual life, but is absolutely central and foundational. When we prematurely jump to the cultivation of presence, John argued, the stress, tension and contraction that we habitually hold act as a great barrier to full presence. He suggested that perhaps our culture emphasizes presence to such a great degree because it is so obviously helpful to work productivity. When we are focused and “in the now,” we are much better at getting the job done. The workforce productivity payoff is not nearly so clear with relaxation; people are generally not yet encouraged to do shivasana (the yoga deep relaxation pose) instead of an afternoon coffee break at the office. Our most profound and regular Jewish opportunity to cultivate relaxation is, of course, Shabbat. The Hebrew word for deep rest and relaxation is menucha. The Shabbat menucha we celebrate and seek has the sense of deep and restorative rest. As a traditional Shabbat afternoon prayer puts it, “You’ve given us a menucha of love and giving, a menucha of truth and faith, a menucha of shalom and well-being, a menucha of calm and trust. A menucha of wholeness, one You take pleasure in…” (from the siddur). We need to, and are invited to, take that deep relaxation we cultivate on Shabbos into the rest of the week, and in fact our tradition teaches us to have a little bit of Shabbos in each day. The core relaxation practice we worked with on our solo/sacred passage was doing a thorough body scan. The instruction was to first scan through the entire body, starting at the head, moving down to the feet, noting and discovering any areas of tension or contraction. Then we would go back to each area we found tension, allow the mind to rest with the tension and gently relax into it, and allow it to soften. Ten minutes would probably be the minimum for this practice. A half hour would be more powerful. If you fall asleep while you’re doing this (as I often do), when you wake up, just pick up where you left off in the body scan. It is important, if at all possible, to do this practice lying directly on the Earth, or on a natural fiber blanket or mat placed on the Earth. (Synthetic fibers block much of Earth’s vital energy, called chiut in Kabbalah, or chi in the Chinese system.) We can then feel the incredible support of Mother Earth below us, as we feel our tension being received by the Earth and used by her as fertilizer through this wondrous, transformative capacity that She has. In Kabbalah, Divinity is understood as expressing itself through ten emanations or attributes, know as sefirot. The Earth represents the 10th sefirah, called malchut, and is understood as the full flowering of the Divine creative capacity. So when we are offering up our tension in this way, we can visualize it being received by the Divine as an offering, an offering that liberates us. Ideally, we can do this relaxation practice at least a few times during the week, and then take some more spacious time on Shabbat to go more deeply into rest and relaxation. If you already have a meditation or prayer practice, this is a simple, yet powerful complement that can open new doors to deepen your practice. May we all bring a deeper sense of menucha into our often hectic lives! I hope you have been dry and warm enough these past couple of days. Weather like this certainly reminds me of my fragility and vulnerability. Tree branches falling, the backyard accumulating lots of rain, a power outage, leading to the sump pump stopping and water accumulating in the basement and threatening to flood out the things we store therewhere we have things stored, trying to work on this message (and many other things! ), filling and hauling sandbags, and rain coming... and coming... and coming... It certainly lets us all know how much we depend on things being "just so" and working right. And this coming after I mysteriously lost my voice and it finally returned after a week of not being able to connect to my heart and others through my regular avenues of speech and song. Although the holiday of Sukkot is several months behind us, one of the powerful teachings of the sukkah is the reminder that we always dwell in a fragile structure, not just during the one week fall holiday that some of us mark, and others don't. However, when things are working out well, and the weather -and our health and relationships!- are cooperating, we often forget this and start to believe that we do actually dwell in the kind of building that the 3 little pigs eventually created: a sturdy little brick home. And then life happens. One way or another things shift, in dramatic or subtle ways. We are reminded that all we know is actually impermanent, and that we are living in a fragile frame of a home, open to the elements- the rain, the wind, the earth. We do not control the elements, weather we have electricity and running water, or weather we are getting flooded out. We are here in this magical, wondrous, and sometimes painful life. And in our being here, we are part of something larger. Just as the roof of the sukkah is to be open so that we can see the stars at night and remember that we are part of that "something so much larger," when we let go of trying to control what we cannot in fact control, we can also sink into that reality of wholeness and connection. It's not the river's fault that we're attached to a particular home that was built in a particular way or particular location. It's not electricity's or the earth's fault that we put our belongings in these homes and that we want to be able to have particular experiences: hot, running water, electricity for light and work, dry spaces and warmth. We are here. We are part of a whole. The oneness can be powerful, and frightening because it forces us to let go of "me" and "my desires" and "my preferences," even for such basic needs and desires as life. What do I have to hold onto then? The most basic prayer and teaching from the Torah, the one that asks me, "Are you listening? Do you really hear? Have you noticed that we are not separate?" the Shema. Y-H-V-H Eloheynu- The laws of the natural world actually are so very much more powerful than us. They provide the structure within which we live, and they are a key aspect of Eternal Being-ness. Y-H-V-H Echad- It is Eternal Beingness that is the all encompassing container within which we find ourselves, and which unites and holds all of existence. It is more ancient than we can imagine, and will last far beyond our lifetimes, into eternity. So stop struggling and grasping, and relax into Her hold, for you are part of Her, she is part of you, and all is One. Judaism teaches that when you kill a person, you are killing an entire world: all that would have come from that person can no longer unfold. Let alone any possible offspring and what would have come from them, the now deceased person's ideas, kindnesses, and all in all impact they would have had on the world is no longer. In science, we can understand this through what we call "the butterfly effect:" (even) small actions can have large effects. From the Jewish teaching about how we might end a world, we can extrapolate its corollary: when you save a person - and I'd add when you help with healing and connection with someone, even on an individual level- your impact does not simply remain at the level of that one individual, but extends to an entire world. For we do not, as individuals, exist in a vacuum, but each one of us is regularly impacting the lives of others- from our closest family members and close friends, to the people we engage with as we go about "living our lives," driving, walking, or biking down the street, and even to the extent of the projects we pursue and the places where we put our time and financial resources. To that end, Zmanim has helped close to 300 adults & children connect to their souls, the earth, the Source of All, Judaism, and each other in ways that simply weren't happening in the short 2 years before we began. And we are not yet in a stable financial situation. Truth be told, we haven't asked for much support in this way yet, and we weren't even ready with fiscal sponsorship until just last December. You can help ensure that such opportunities as have been created so far continue through your fully tax-deductible contribution this calendar year. Does your employer offer matching gifts? Does a family member's employer offer matching gifts? Many companies do this. Check here, or ask your employer, and your friends and family members about their employers. Pool resources to have an even greater impact by helping them help you change the world, and save the world- one person at a time, by changing real people's lives for the better. If you haven't checked out our website recently, it is becoming a better "teller of our story" with more photos and better descriptions of our offerings and what we are trying to do. Massei Zmanim after-school program touching children K-6. Just this past week we helped 4 families be able to light Hanukkah candles on their own, and having partnered with Jewish Family Services to decorate bags for Hanukkah, spent about 3 hours delivering and visiting these bags to to home-/ nursing home-bound/ low-income Jewish individuals in our community. And this was during our "week-off" from the program! Soulful Shabbat the first Friday evening of the month (A new, adult-oriented opportunity to feel ancient wisdom rise up from the depths of your soul, feel joy, expansiveness, & light-heartedness, and to sing the song that you didn't know your heart sings). Kabbalah & Jewish Spirituality 4-session weekly class to explore more deeply the nature of existence, as well as gain practical pointers towards continual experience of the Divine in one’s daily life. Participants consider parallels between these Kabbalistic ideas and those of other traditions such as Buddhism. If you've ever wondered, "is there any real spiritual depth in the Jewish tradition?" these are the kind of classes we offer. Fire & Stars gathering on the 3rd Saturdays of the month during the darker part of the year (Oct-Feb) to sink into Shabbat together before transitioning with our ancient end-of-Shabbat rituals (havdalah) into the rest of the week through star-gazing and stories and songs around a fire. So don't wait. Make your tax-deductible contribution now. Increase the light of Hanukkah, and watch the butterfly flap its wings out here in West Sonoma County. And know that you are changing the world by helping people - in very concrete ways - live more in alignment with who they want to be and to connect to their potential for wholeness and healing. What amazing worlds will be created from the amazing individuals here? The future is unfolding, and we want you to be part of the worlds that can be born. Blessings, and an early "Hodesh tov!/ Have a good new month (moon cycle)!" May this new moon of Tevet (starting Thurs. night) bring real "goodness" ("tov"- related to month's name "Tevet") as we move from the darkest time of our planets' turning, towards light. Amen. PS You can make your fully tax-deductible contribution here! For this teaching, I would like to draw on the psychological-spiritual wisdom of Hasidism, particularly the teaching of the Chernobler rebbe, Menachem Nahum Twersky. Also known as the Me’or Eynaim (the title of his most famous text from which I am drawing—it means the spiritual Light of the Eyes), he lived in Ukraine from 1730-1797. As one of the numerous extraordinary students of the Maggid of Mezeritch, he was part of the third generation of Hasidism. I first became aware of this text from my longtime teacher, Rabbi Miles Krassen. In a general sense, the Hasidic approach to torah is to read the text as a vast spiritual landscape, filled with psychological insight that has great relevance for our own struggles to grow and to walk the spiritual path. It’s not about the text’s literal meaning. Jacob leaves the Land of Israel with the blessing of his father Isaac, having wrested Isaac’s blessing from Esau, and is now charged with finding a wife in his ancestral land of Haran. The Me’or Eynaim sees Haran as not just any old place, but a place of darkness, or great challenge. Through a typical rabbinic play on words, he reads Jacob’s destination “Haran” as hinting at “ḥaron af haMakom,” which means Divine anger. The word play is based around Haran/haron. How does the Me’or Eynaim understand this place of “Divine anger?” It is a place of klipot, shells which conceal the Divine light. It is exemplified by the figure of Jacob’s uncle Lavan, with whom Jacob will spend the next twenty years living. Let’s unpack this a little. Klipot (literally “shells”) are an important concept in Kabbalah. In the Kabbalistic cosmology of the seminal thinker Isaac Luria, the klipot are the places that obscure the Divine light, where the Divine sparks became trapped following the breaking of the vessels that accompanied the creation of the world. Rather than “shells” I would translate klipot as “obscurations,” so a place of klipot would be a place where Divine light seems to be very “thin,” like oxygen at high altitude. In our experience, this might be a place where kindness is completely lacking, or where there is great tension and ill feeling. This place is exemplified by Lavan because generally in the rabbinic imagination, Lavan is understood as the exact opposite of his name (which means “white”). He is seen as a person for whom deceit is the core of his nature. Before we go further, it is important to note this radical and liberating idea here about “Divine anger.” By his creative interpretive move of reading the place name “Haran” as hinting at ḥaron af haMakom, the Me’or Eynaim helps us to shift the problematic, limited and vindictive images of the “angry God of the Bible.” His reading allows us to now understand a place of Divine anger as a place where Divine light and compassion are merely obscured, and require our active efforts to ferret them out and reveal them. And in fact, that is how the Me’or Eynaim understands Jacob during his twenty year sojourn with Lavan. He sees Jacob as trying to sift out the wisdom (torah) that is hidden in the place of Lavan’s great darkness. The idea is that usually when we find ourselves in a place of "Divine anger," such as a situation of great negativity, we end up becoming completely identified with an aversion response (i.e. “I just have to get out of here, get away from this person, this situation,” etc.). The suggestion is, following Jacob, to see if there is any torah, any Divine sparks that we can sift out from the situation, which is called berur (sifting) in the spiritual language of Hasidism. The Me’or Eynaim reads Jacob’s rolling away of the stone covering the well as a removal of that which is obscuring the living waters below, i.e. torah (which is also called mayim chayim). The Me’or Eynaim brings a beautiful verse from Ezekiel (36:26) into the conversation: “I will remove the heart of stone from your body and give you a heart of flesh.” Read together with this verse from Ezekiel, Jacob’s act of rolling away the stone from the well becomes an act of softening, of transforming a heart of stone into a heart of flesh, an act that will aid him in his difficult years ahead with Lavan. Note that the Me’or Eynaim does not say that when going into a dark situation where we feel God’s presence to be absent, that we should steel ourselves or toughen ourselves up. He says precisely the opposite: going into those situations where the Divine presence is most obscured, we are to soften our hearts. A soft heart is of course an open heart, and an open heart has a greater chance of perceiving the hidden and obscured sparks of holiness and wisdom that may be present in a given situation. An open, softened heart can see through the seeming limitations that present themselves to the eye. With this kind of perspective, holding this kind of aspiration, we stand a much better chance at seeing the obstacles and challenges we face in our lives as important opportunities for growth along the spiritual path. In the truest sense, everything is fundamentally workable, everything we encounter is part of the path. Do you share a relationship of unconditional friendship with someone? I felt that from a good family friend, Martha Fielding, who recently passed away. Want to know more? Fortunately, before her death a video was made of Martha in her amazing garden in Taos, NM, which was aptly named "Martha's Magic Garden." Her teachings in it are clear and powerful. "So this is change. Bitterness and regret are misplaced. What can allow us to become agents of change is to awaken. If we begin to make better choices, based on considerable reflection of what constitutes commons, and what sustainability really means, we gain a sense of delight and serenity, we feel connected to something that is beyond our selves and that offers us a way to comport our finite-infinite, miniscule-enormous human life to reflect and honor all that is, has been, and will be. Thank you, Martha, for all that you have given to so many, and all that you continue to give. 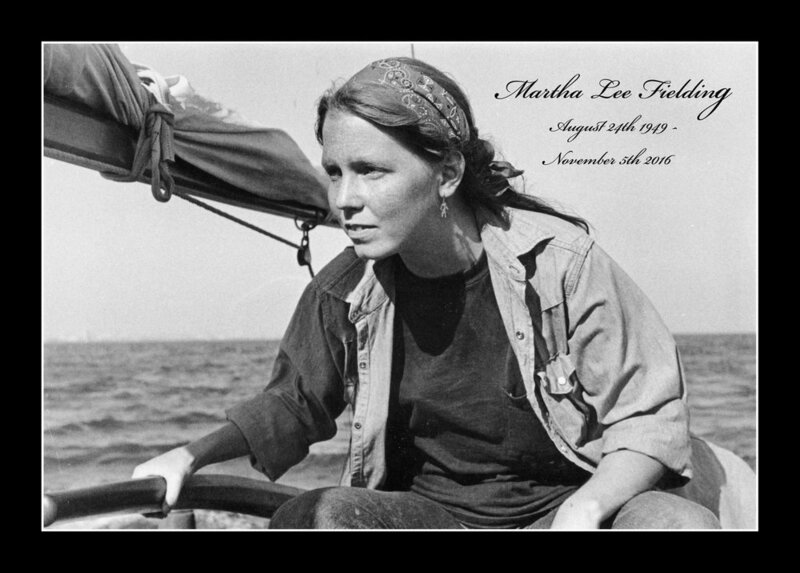 May Martha and her memory inspire each of us to lead lives of connection to something beyond our selves, and lives of deep, unconditional friendship. Amen.